A commentary on Korean global business and popular culture. Denver – (July 16, 2013) Mad For Garlic, one of Korea's most popular restaurant chains, has announced plans to bring its handcrafted artisanal Italian cuisine into the US and North American markets. In recent years, South Korea has become well known for its remarkable economic growth and a cultural trend called ‘Korean Wave”, with Korean cultural exports and innovations in film, music and cuisine popular worldwide. Originated in Korea in 2001, Mad for Garlic’s creative preparation method of removing the garlic’s pungent smell and unique way of cooking Italian cuisine with a Korean twist have won the hearts of both garlic and non-garlic lovers. 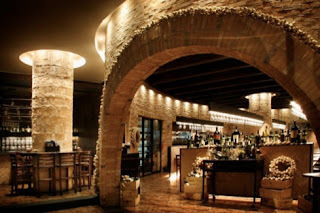 Mad For Garlic is known for its unique and innovative menu with garlic-specialized Italian cuisine served in an atmosphere of medieval European rustic tavern. 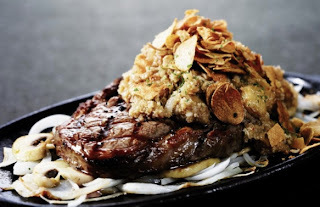 With unique signature dishes such as Dracula Killer, Garlic Snowing Pizza, Garlicpeno Pasta, Mushroom Risotto and Garlic Steak that have gained cult followings in Korea and Asia, Mad For Garlic looks to offer food lovers worldwide a truly unique "Garlic-licious" dining experience that is different from other restaurants. To spearhead its North American expansion, Mad For Garlic has partnered with Bridging Culture Worldwide (BCW), a global consulting firm that focuses on Korea facing business ventures. Specific franchise requirements may vary from country to country. Mad For Garlic does not grant franchise rights or explore joint venture agreements without meeting potential partners in person. For more information contact Dsoutherton@bridgingculture.com. Since its establishment in 1995, Seoul-based SUN AT FOOD and our leading brand, Mad for Garlic has set the highest standards in culinary excellence and innovation. SUN AT FOOD is a global dining company and has received numerous accolades through the years for its outstanding performance. We are currently on track with our goal to create the globally dominant restaurant network and serve the world a unique and unforgettable taste of life. Since its founding, Bridging Culture Worldwide has focused on global Korea-facing business services. Based on over 3 decades of experience, we provide cross-cultural insights to global teams and management. Bridging Culture Worldwide core services include: Market entry, Consulting, Strategy, and Research.